To accommodate our growing membership and expanded benefits, the WFCA has modified its membership structure. The changes give WFCA members more control over their membership, from choosing the dues and benefits level best suited for their business needs. The WFCA Team has been working to make this transition as smooth and seamless as possible. We encourage you to explore how these changes affect your WFCA membership. Associate members are eligible to receive a 20% discount on exhibit space at TISE, the premier floor covering marketing event sponsored by the WFCA. Free admission to the exclusive WFCA Member Lounge at TISE. Receive membership window decals, representing commitment to the highest standards of ethics, quality, and reliability, as a member of the floor covering industry’s professional trade association. Associate Members also receive "Code of Conduct," suitable for framing. Participation in some of the WFCA member discount programs, such as insurance plans and discount freight and discount payroll processing programs. All WFCA member businesses, including Associate Members, are listed on the WFCA Internet site directory located at www.wfca.org, and member site links are included at no charge. A portion of each Associate Member’s annual dues is allocated to supporting WFCA training and certification programs designed to increase the sales effectiveness and professionalism of retail members, who are customers of the Associate member. Receive a monthly e-subscription to Nagle’s News that contains the latest news and information on the floor covering industry. Through membership, Associate Members invest in the WFCA’s programs to provide legislative monitoring and advocacy in Washington, DC, as well as marketing research for the industry. The WFCA is the only organization that maintains a full-time lobby in Washington, DC on behalf of the entire industry. 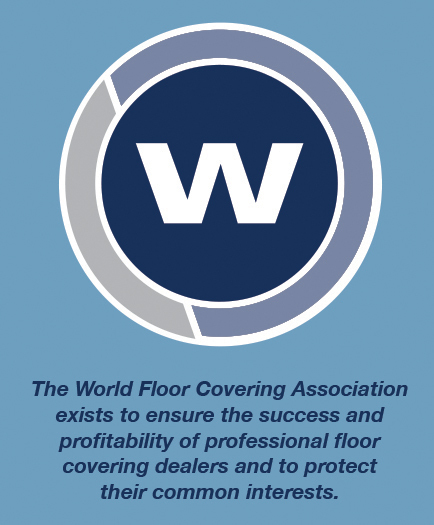 *Membership dues paid to the World Floor Covering Association are not tax deductible as charitable contributions. However, they may be tax deductible as ordinary business expenses. WFCA estimates that 12% of your dues are not deductible because of WFCA’s lobbying activities on behalf of its membership.